The Office of Accountant General of the Federation has revealed that members of the National Assembly collected about N200 billion for constituency projects between 2015 and 2017. This was stated in documents sighted by newsmen from the Office of the Auditor General of the Federation. According to the documents, N50 billion was released in 2015, N80 billion in 2016 and N70 billion in 2017. The agency was yet to release the what has been released for the lawmakers in the 2018 budget signed by President Muhammadu Buhari after six months it was submitted for consideration. 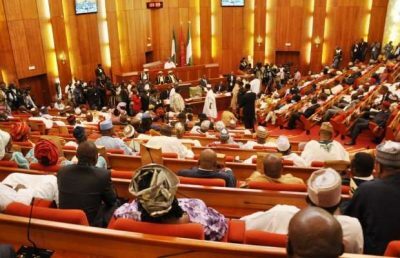 At the moment the Presidency and National Assembly are at loggerheads over the injection of about 6,000 projects in the 2018 Budget said to be worth over N500 billion.